What a beautiful family! Loved shooting their beach session in San Clemente, just up the road from Carlsbad. The Pier is a great backdrop for portraits! I loved this amazing session with this beautiful family. Mom chose to use some of my gowns for her session. This is another favorite family of mine... adding baby number two! I shot mom and dad's engagement and wedding. And I shot Zoey's maternity, newborn and first year portraits. 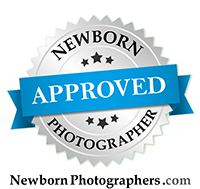 And now I am shooting their new baby boys maternity and newborn portraits! I love clients that come back year after year, and to see their families grow! I also love that mom wanted to have matching floral crowns for her and her daughter. This is something that I offer as an add on to your session. They are fresh flower crowns - so beautiful! We're excited to shoot more beach maternity sessions in Southern California, including La Jolla and Windandsea Beach. I promised more images of this beautiful family. So fun to have worked with them from engagement session to wedding, to baby number two! A little personal post... my family spends a lot of time at Lake Tahoe in the Sierras. This is one of my favorite peaceful places in the world. We've enjoyed some time there this summer exploring. My sister-in-law stumbled on this gorgeous field of lupine flowers, and I could not resist taking some casual photos. Sweet little Venture did a GREAT job during his session. Proud big sister did too (with a little bit of M&M bribery). Congratulations to the new family of four! One of my favorite parts of what I do is seeing babies grow! I photographed Paxton in his first week of life... and he's back at age one! SO adorable! We did an outdoor family session for him, as well as going back into the studio for some cute portraits and a CAKE SMASH! Loved his session... so cute! I cannot believe this little darling is turning ONE next month! We did a few family portraits at a nearby park, and then headed into the studio for her first birthday "cake smash". More pictures coming soon, but just a few shares for now. So excited to be capturing her birthday party celebration as well. Thank you for having me capture her first year! Sacramento Maternity Photographer - It's Twins! I had the pleasure of working with this lovely couple that are expecting twins in May! I cannot wait to meet their sweet little babies, very soon!